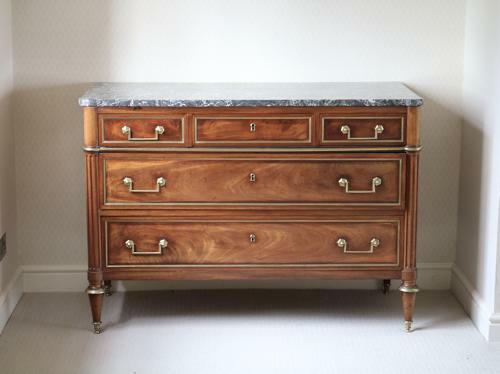 19th century French directoire mahogany commode. Decorative brass sabots, with brass stringing and handles to the 3 drawers. Original Gris St Anne marble.